Dr. Valeria Sinclair-Chapman joins the Purdue faculty as an Associate Professor in the Department of Political Science. Her work focuses on American political institutions, legislative politics, minority representation in Congress, and minority political participation. Broadly construed, her research examines how previously marginalized groups gain inclusion in the American political system. She is author or co-author of several journal articles and book chapters, as well as an award-winning book, Countervailing Forces in African-American Political Activism, 1973-1994 (Cambridge University Press, 2006). Her current research projects examine how legislators represent the interests of racial and ethnic minorities in Congress at various stages of the legislative process. Prior to coming to Purdue, Dr. Sinclair-Chapman was Director of Graduate Programs in the Kearns Center for Leadership and Diversity at the University of Rochester, where she also taught on the political science faculty for more than a decade. 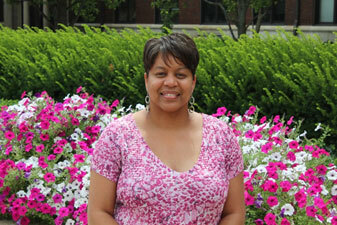 She earned her Ph.D. from The Ohio State University in 2002 and her B.A. from the University of North Carolina-Asheville in 1991.